Offering you a complete choice of products which include pen stand, small candle holder, sb silicon glass and white pen stand. White pen stand with inner color container! It could be a pen holder or flower pot or any other stuff you want it to be! It's sublimation coated to print your images and designs in vibrant colours.Yes, it's the same way to do the transfer, just like all our photo mugs. 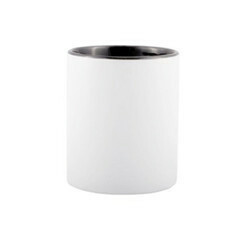 With a mug press, you can print easily on to the white ceramic smooth surface and create attractive pen holders. 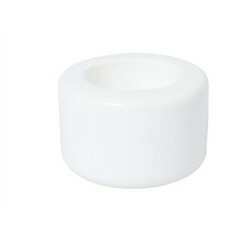 Blank white sublimation tealight Small Candle Holder is made from high quality ceramic material. 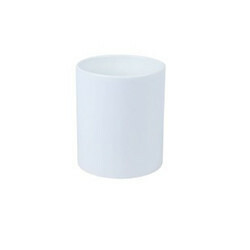 It fits one standard tealight candle and It is well-coated with special coating suitable for sublimation image printing with excellent effect. Create beautiful candle holders with your own artwork, branding or logos as it is easy to sublimate these ceramic candle holders with dye sublimation printing heat press. Ceramic white glass with Red and White silicon caps to cover all your liquids-hot or cold! These make for attractive gifts as can be personalised and customised with your designs and images. They are coated with special sublimation coating to bring out the vibrancy of your images printed. White Pen Stand could be a pen holder or flower pot or any other stuff you want it to be! It's sublimation coated to print your images and designs in vibrant colours. Yes, it's the same way to do the transfer, just like all our photo mugs. With a mug press, you can print easily on to the white ceramic smooth surface and create attractive pen holders.